Kylie Jenner pregnant? How her Instagram pink and blue nails lied. 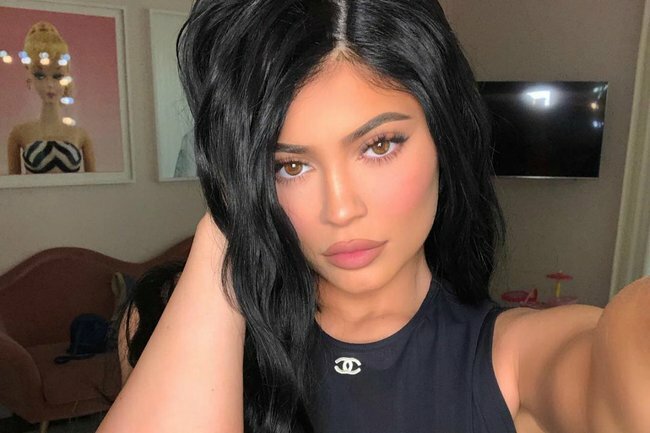 Excuse us, but Kylie Jenner has just pregnancy-baited all of us with her latest manicure. We have just been personally victimised by Kylie Jenner. 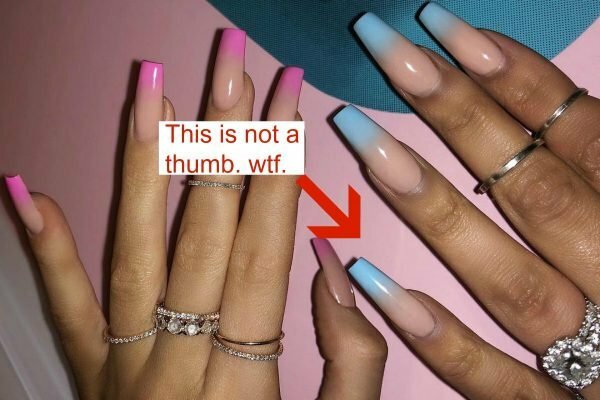 Earlier today, the 21-year-old shared a photo of her latest manicure which immediately had fans convinced that she is currently ‘expecting’. The mum-of-one posted a photo of her coffin-nail shaped acrylics with one hand painted with pink ombre tips and the other done with ombre blue tips. Cue: Mass-induced fan hysteria over what looked like an undeniable and irrefutable pregnancy hint. “Are we having another baby?” wrote one fan. “All I see in this picture is that she’s pregnant with a girl of boy???!!? ?” wrote another. “Kylie is pregnant I said it first” shared one more, with thousands expressing the same sentiment. back at it again with nail bae ???????? But upon closer inspection you will notice that no, they are not Kylie’s left and right hands but two left hands, with the ‘right’ hand actually belonging to her friend Heather Sanders. Just look at the ‘thumb’. Hint: it’s not a thumb. Technically speaking, this doesn&apos;t necessarily mean Kylie isn&apos;t not pregnant, but we&apos;re going to need a little more convincing. Accurate footage of us leaping to conclusions over the status of Kylie Jenner&apos;s womb. Image: Giphy. Do you feel cheated by this new information? Group therapy is open in the comments.